This recipe for traditional Polish cheesecake or sernik (SEHRR-neek) has a sweet pastry crust and a filling made with quark or farmer's cheese, a dry-curd cheese known as twaróg (TVAH-rroog) in Poland. If you can't find dr-curd cheese, you might want to make your own farmer's cheese from scratch. It's ridiculously simple. 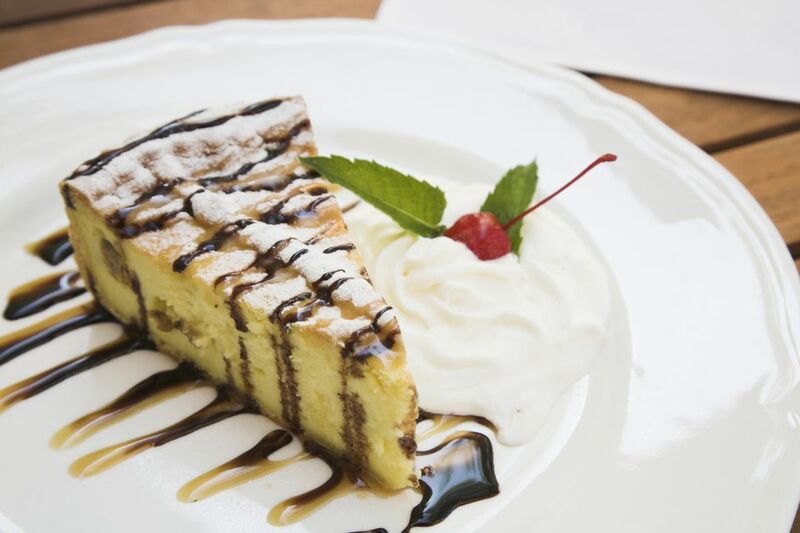 Sernik is one of the most common desserts served in Polish restaurants and at home. Compare this recipe with a more modern Polish cheesecake, which has a cookie crumb crust. This authentic and traditional recipe is from Anna Chodan Krol from Rudka, Poland. Here are more Polish cheesecake recipes you might like to try. Note: while there are multiple steps to this recipe, it is broken down into workable categories to help you better plan for preparation and cooking. In a large bowl or food processor, mix together flour, 1/2 cup sugar, and baking powder. Cut in or pulse 5 ounces cold butter as for pie dough. In a separate bowl, mix together 2 egg yolks and sour cream and add to the flour-butter mixture, combining or pulsing only until combined. If the dough is too dry, add an extra whole egg. If the dough is too soft to roll, refrigerate for 1 hour. Heat oven to 350 F. In a large bowl, cream together 5 ounces room-temperature butter with 2 cups sugar until light and fluffy. Beat in 4 large room-temperature egg yolks and vanilla until well incorporated. Thoroughly mix in the cheese. In a separate bowl, beat the 4 large room-temperature egg whites to stiff peaks. Fold them into the cheese mixture. Pour filling into pastry crust-lined pan. If you have leftover dough, roll into pencil shapes and lay them diagonally across the top of the cheesecake. Bake 50 to 60 minutes or until center is only slightly jiggly. Don't let the top brown.